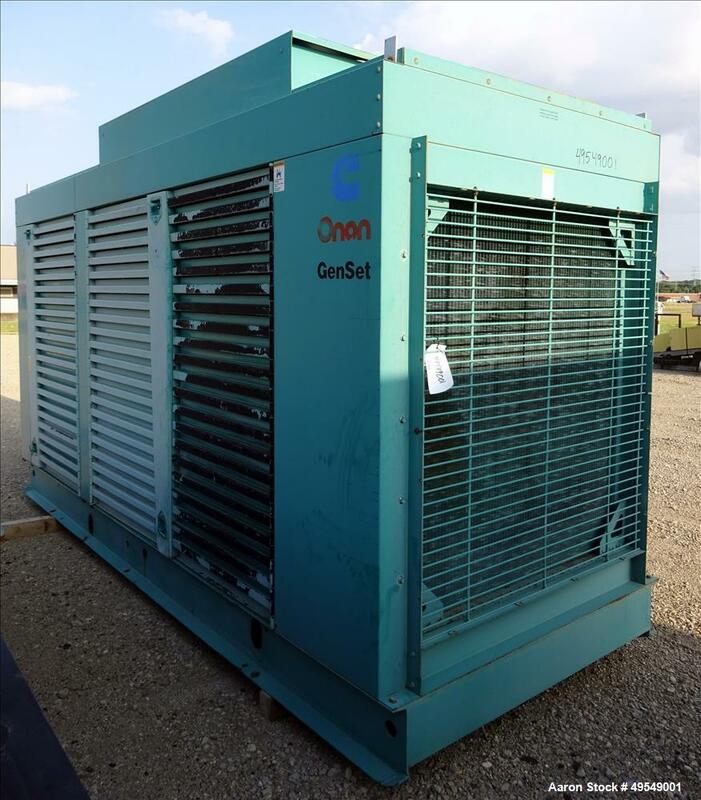 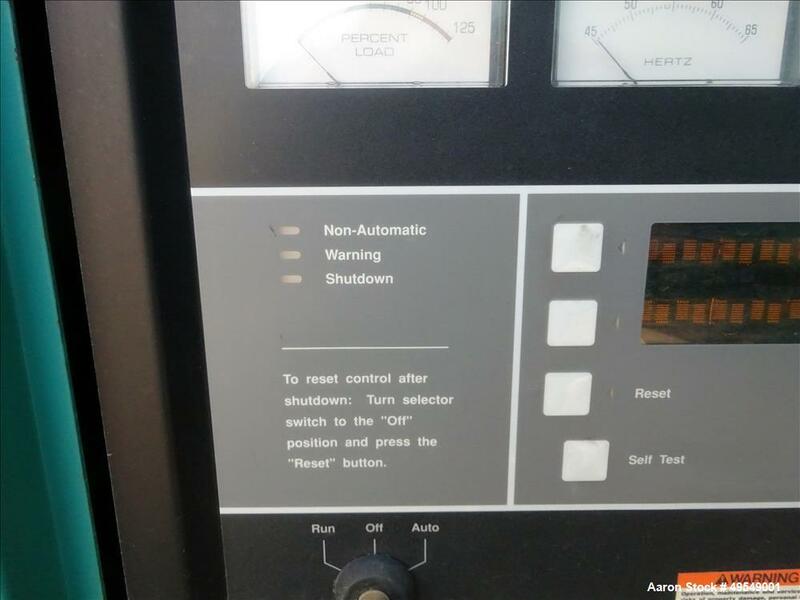 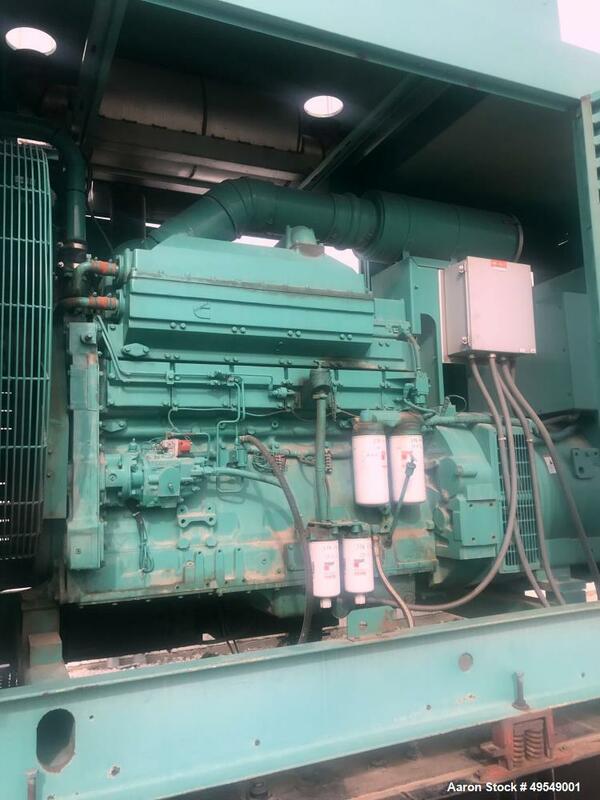 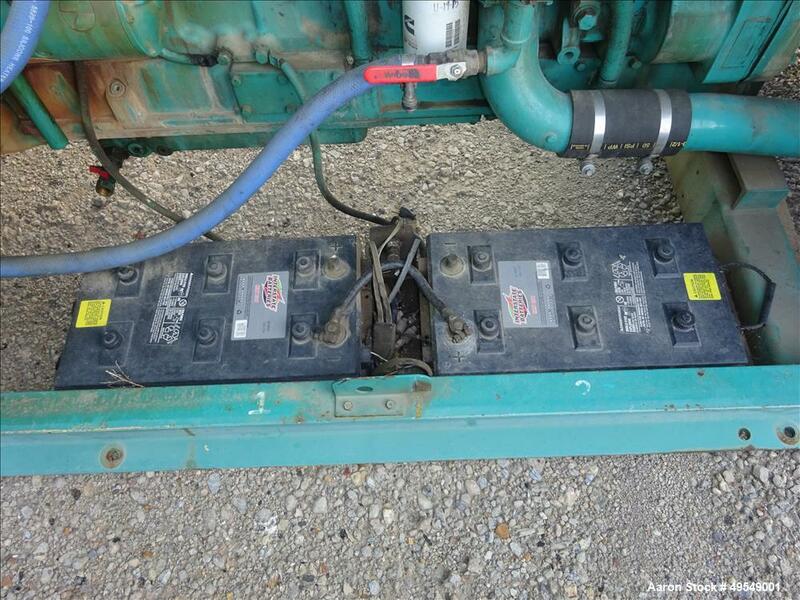 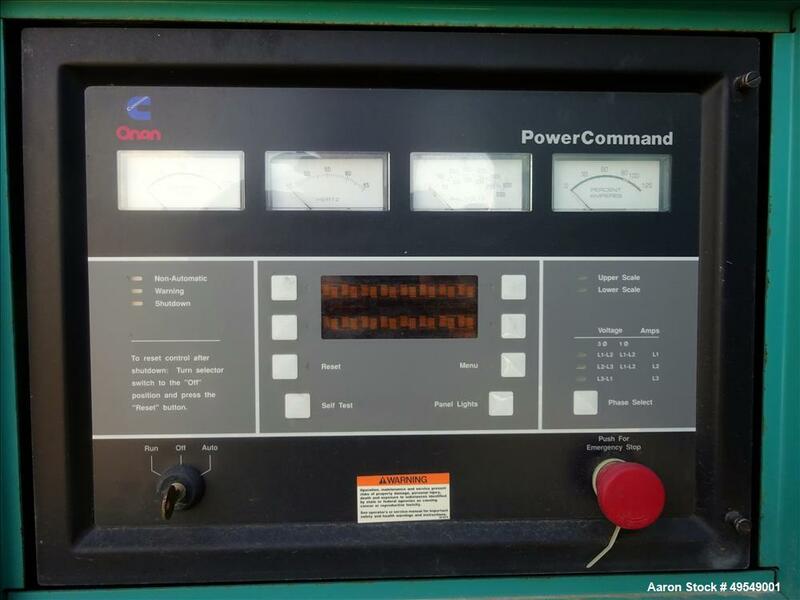 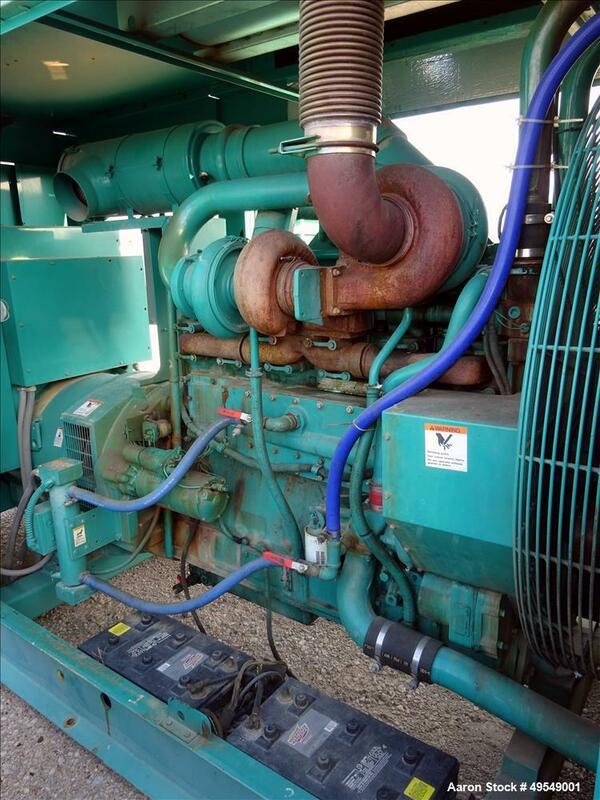 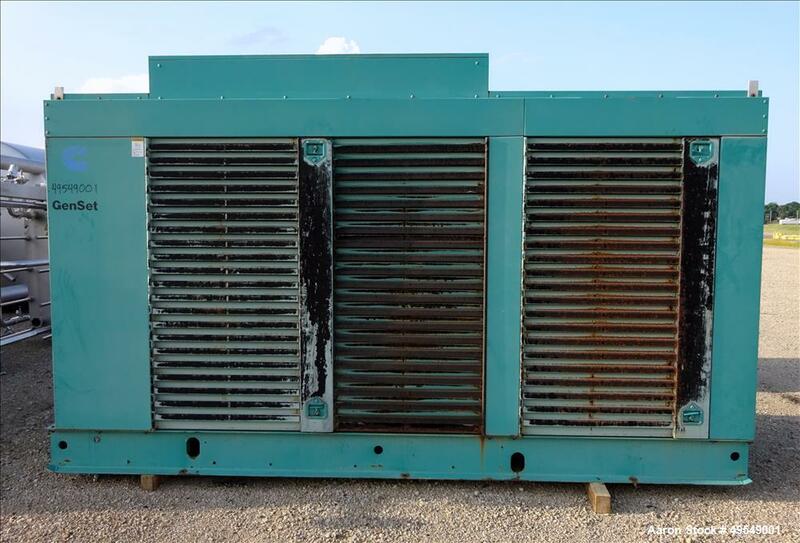 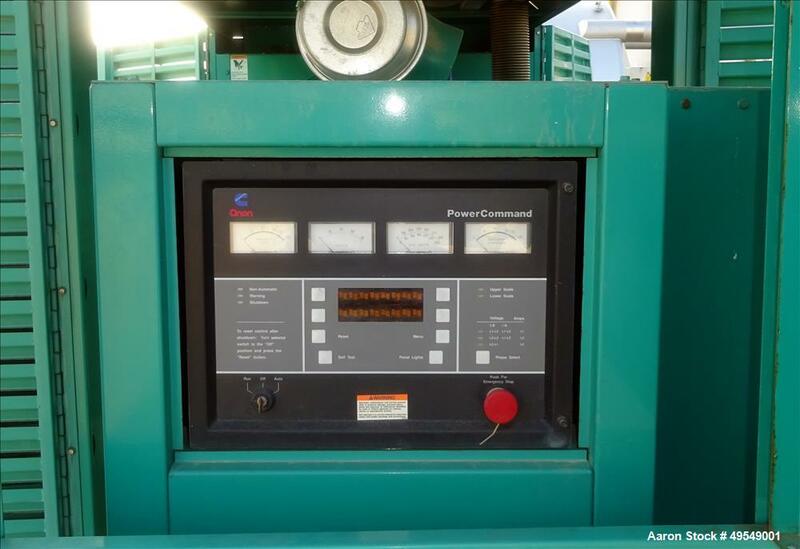 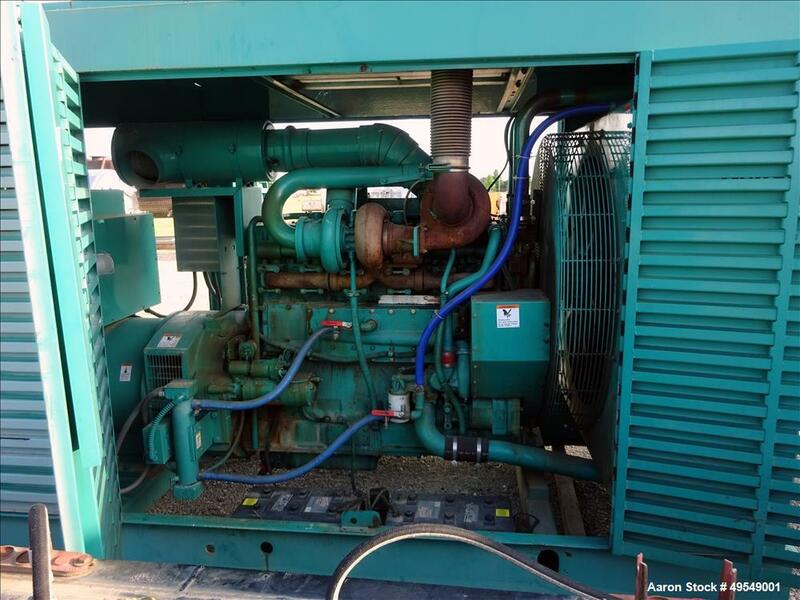 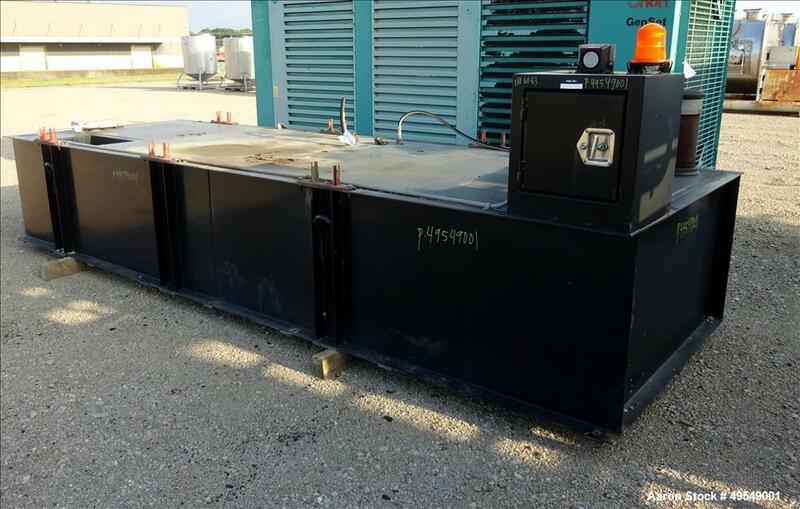 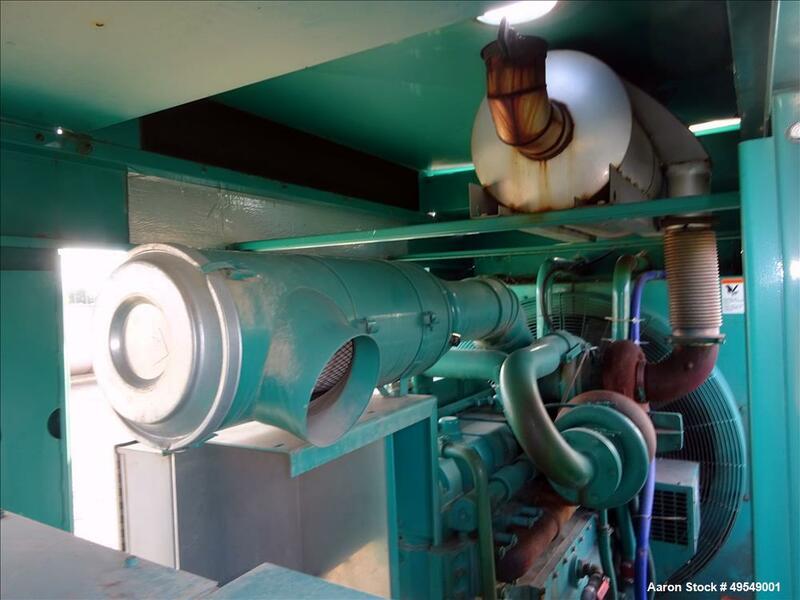 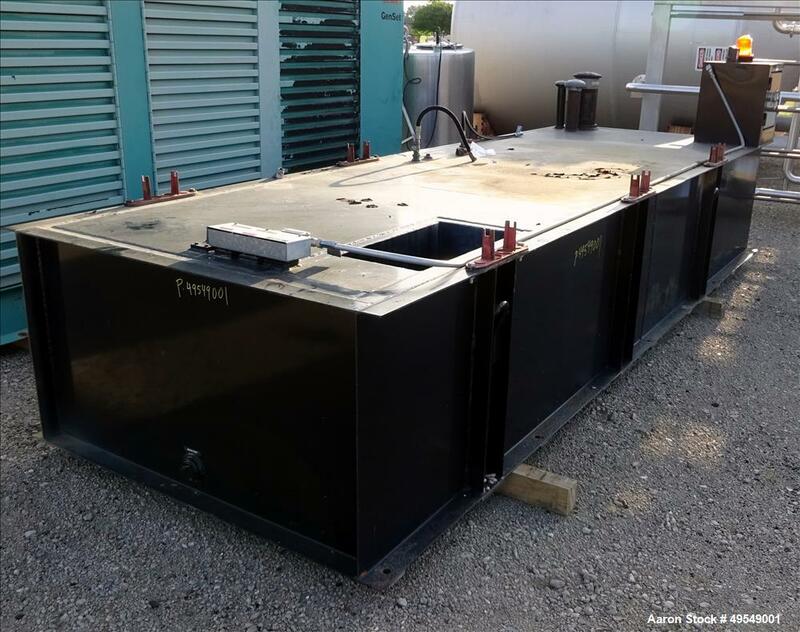 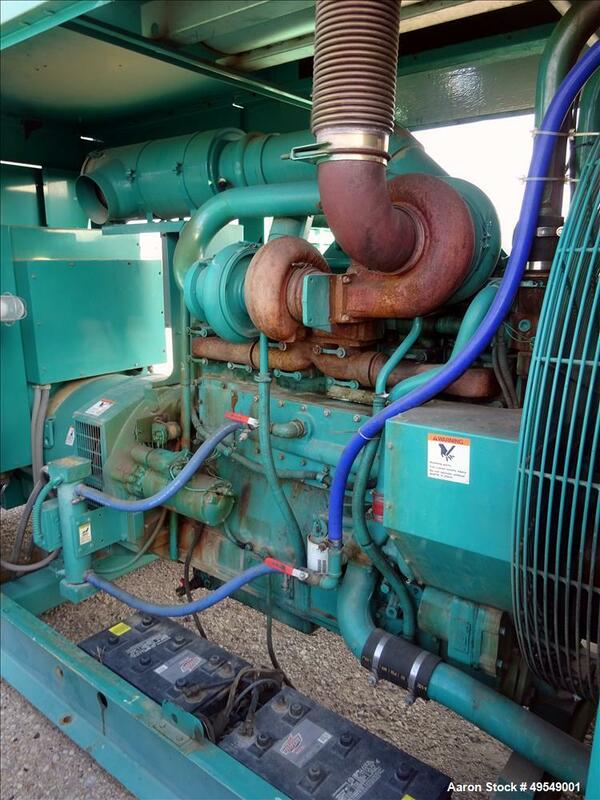 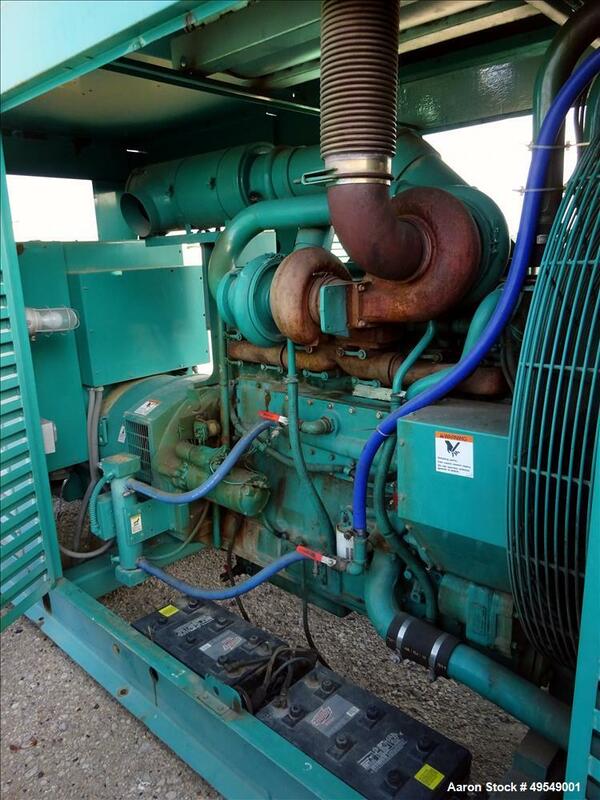 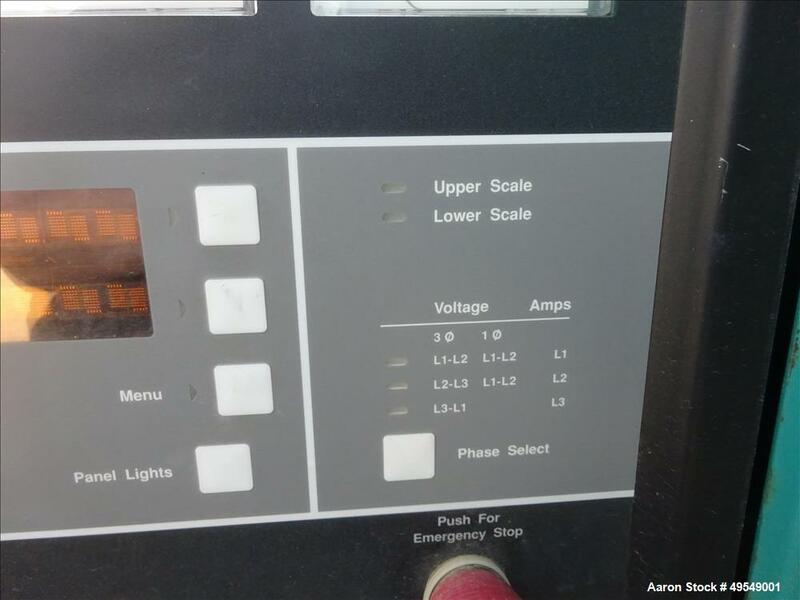 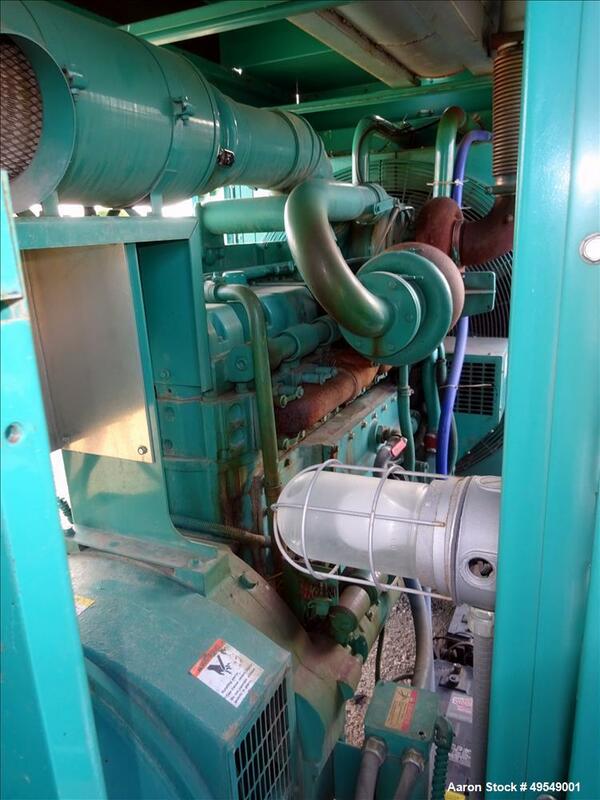 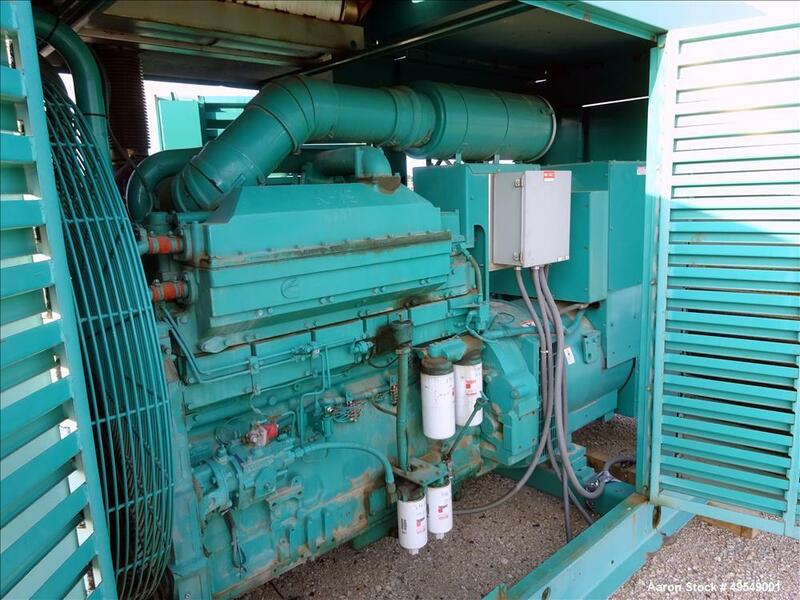 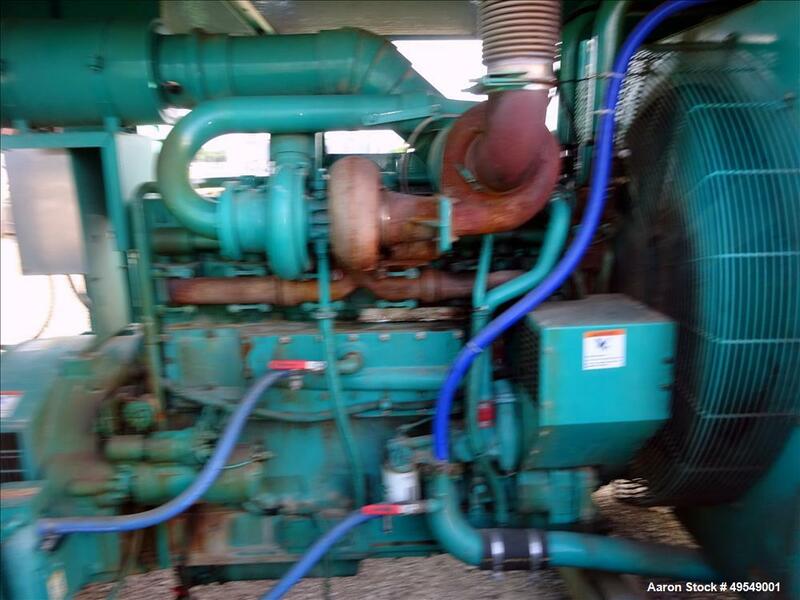 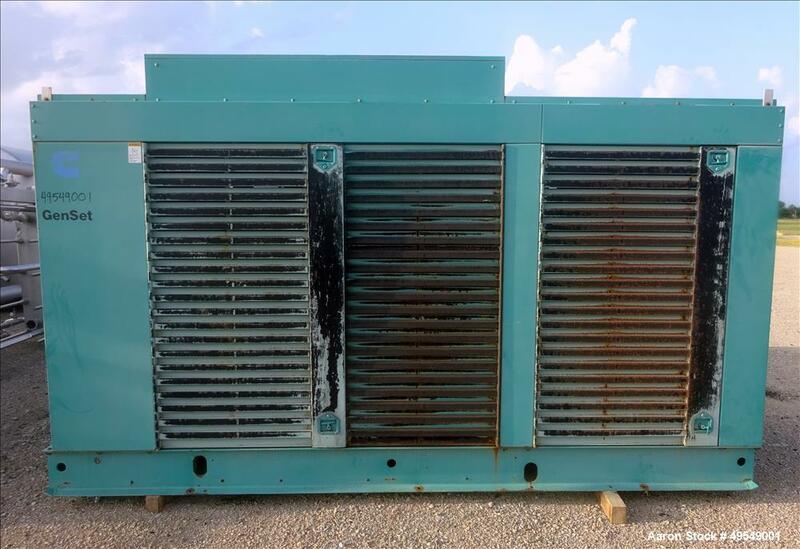 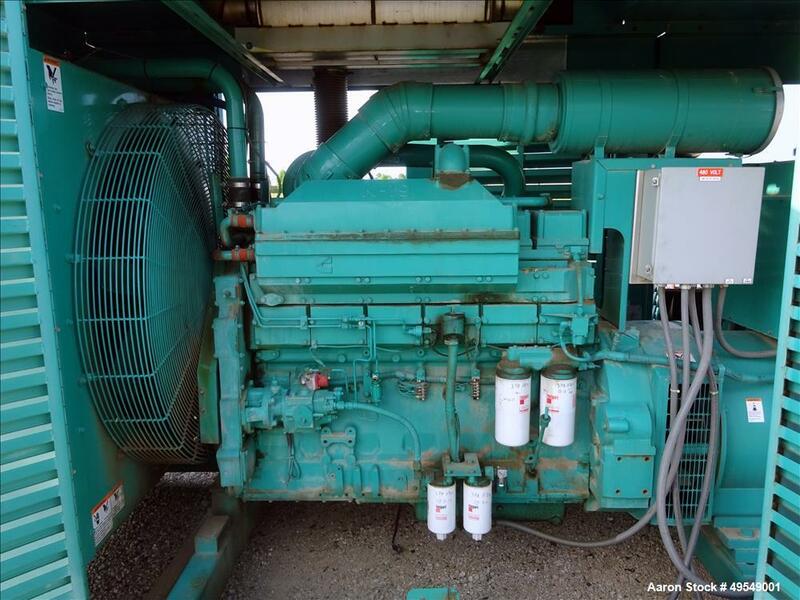 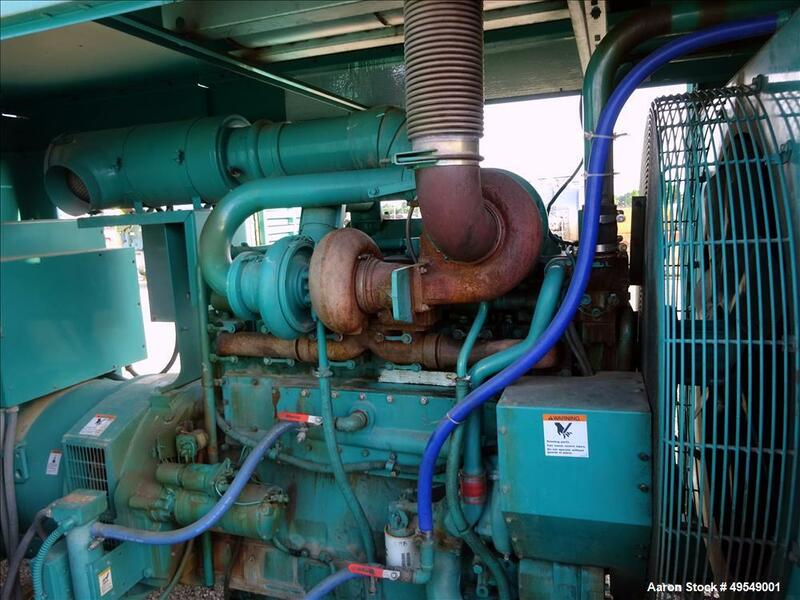 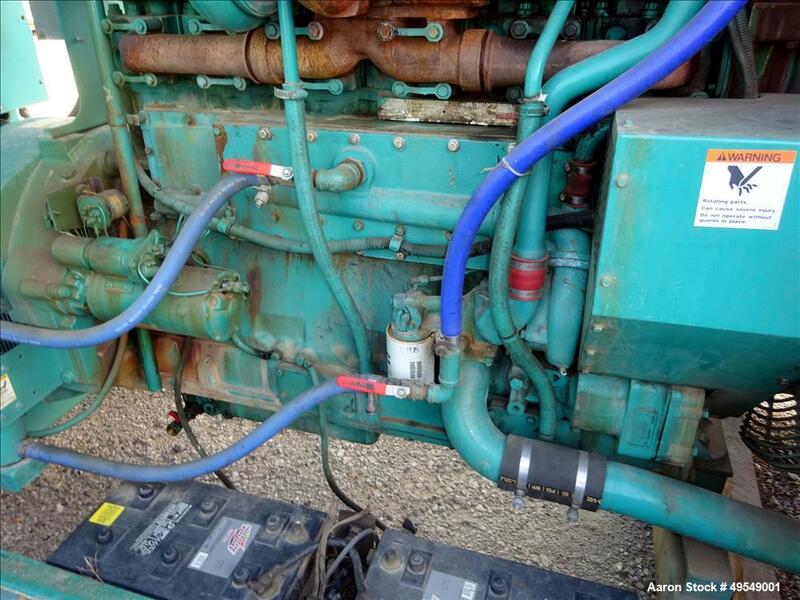 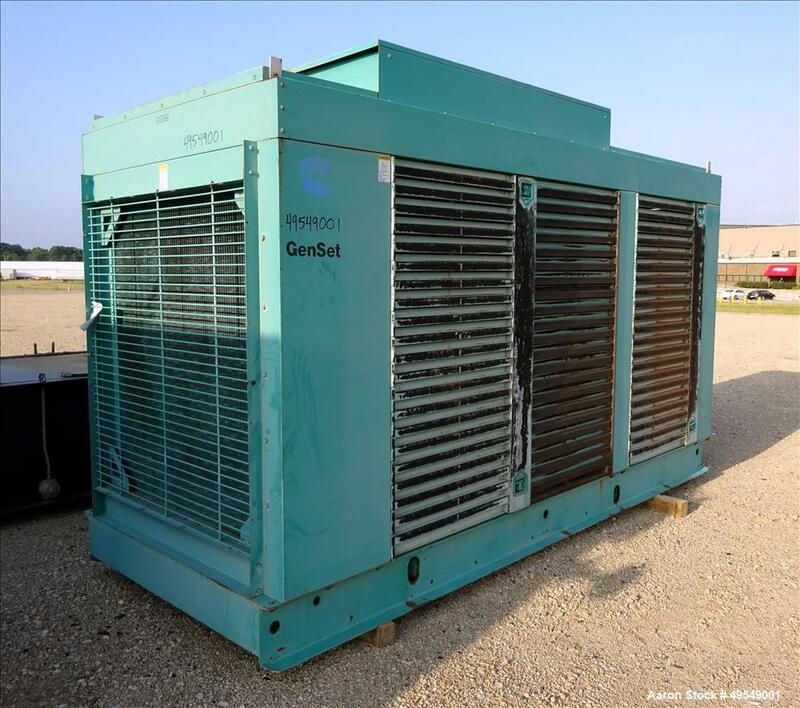 Used- Cummins 500 kW Standby Diesel Generator Set, Model 500DFFB, SN-H950584605. 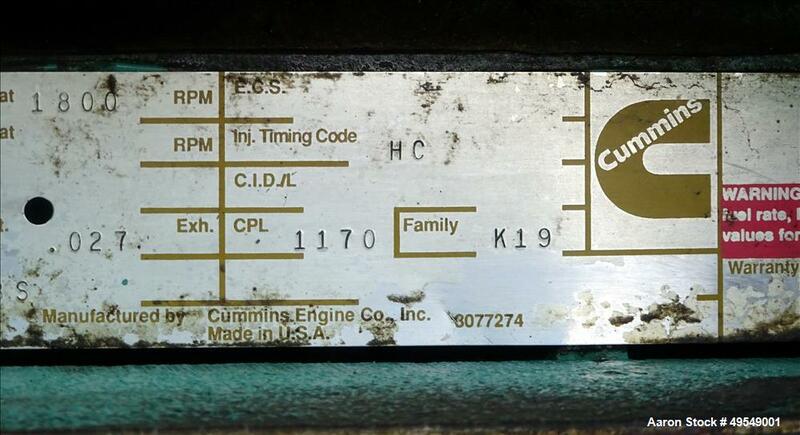 Cummins KTTA1-G2 engine rated 750 hp at 1800 rpm, SN-37158785. 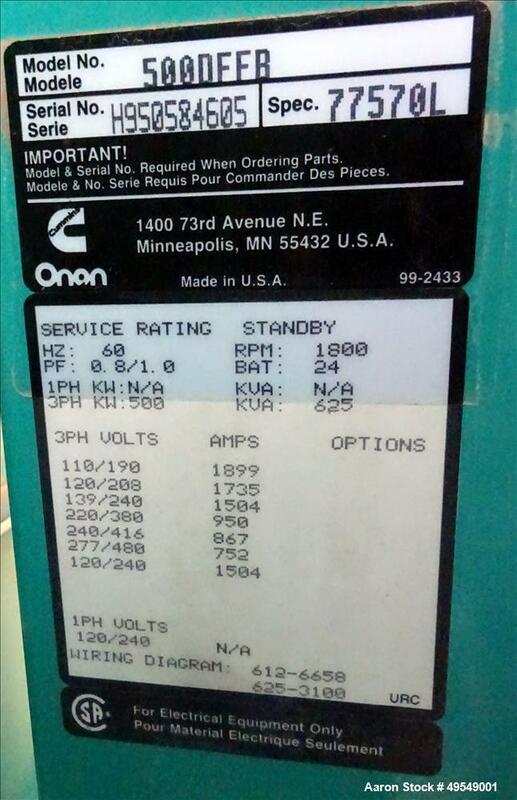 3/60/277/480V. 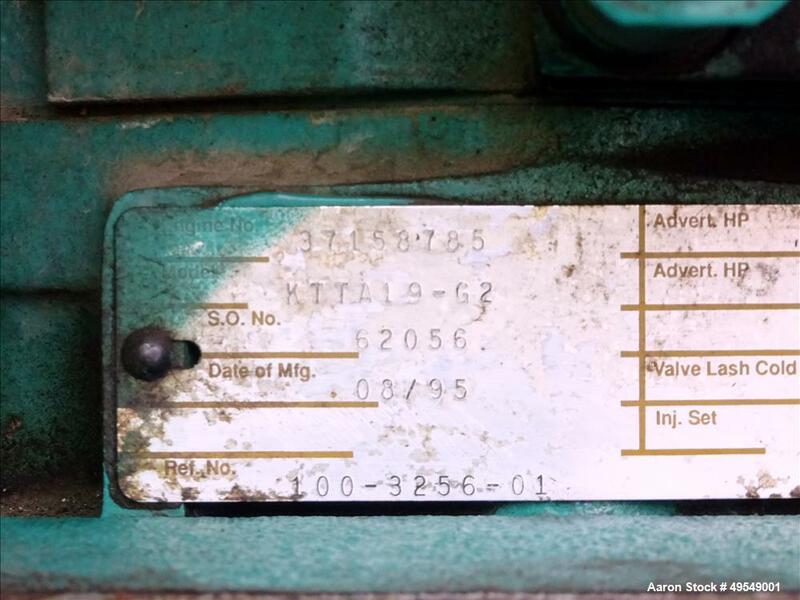 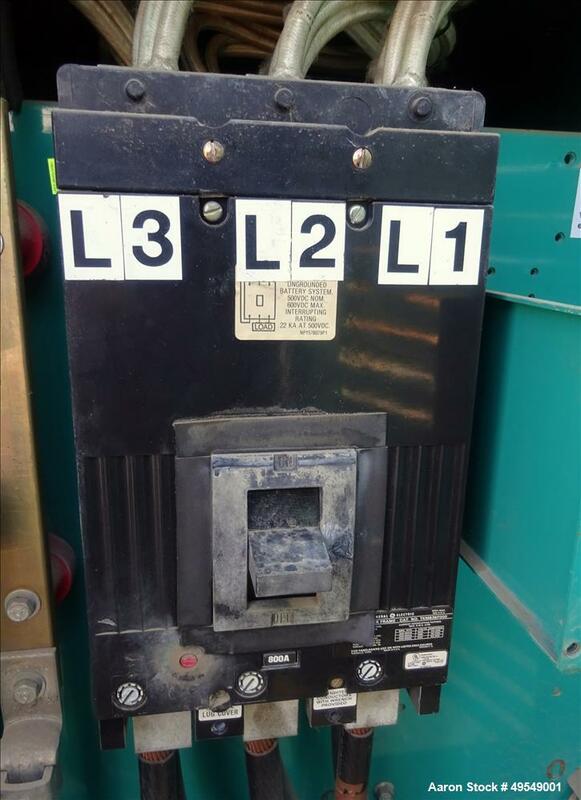 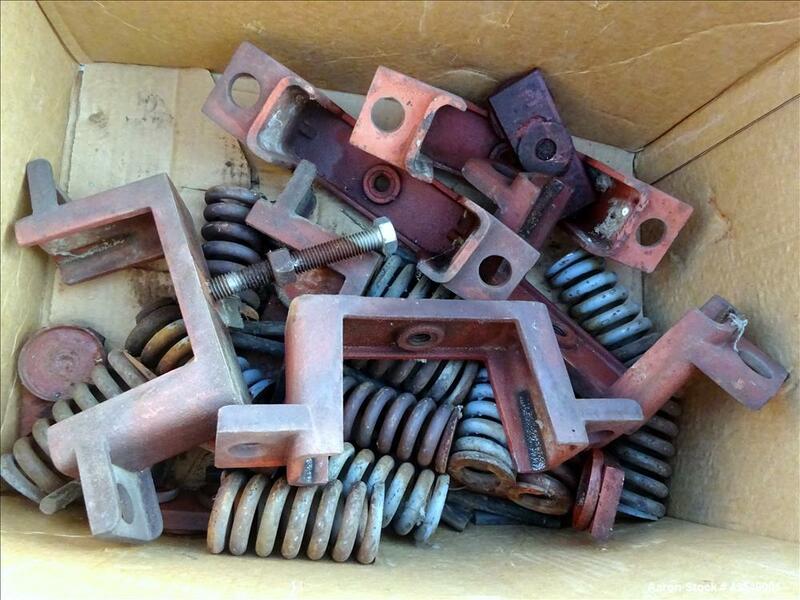 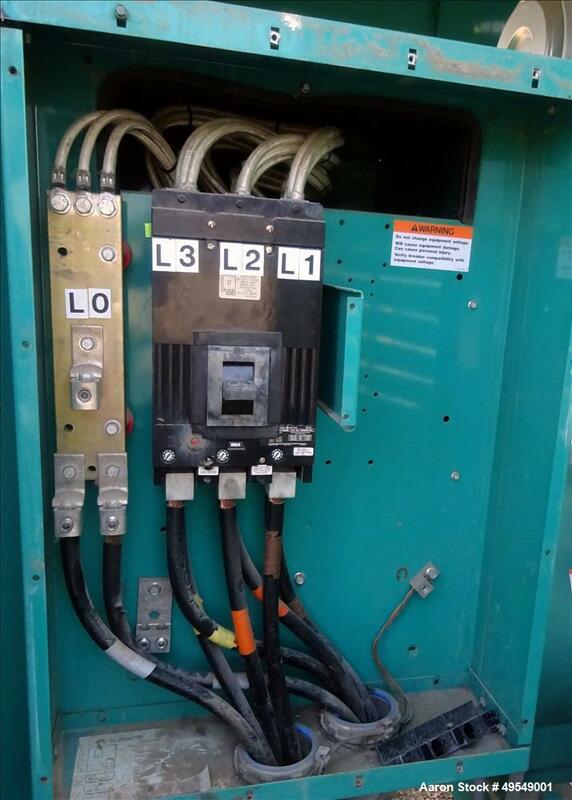 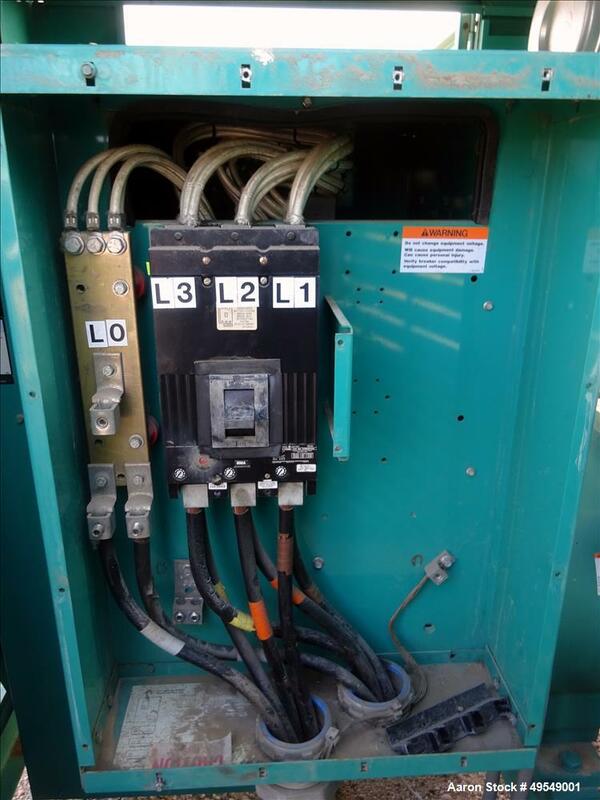 800 Amp main-line circuit breaker. 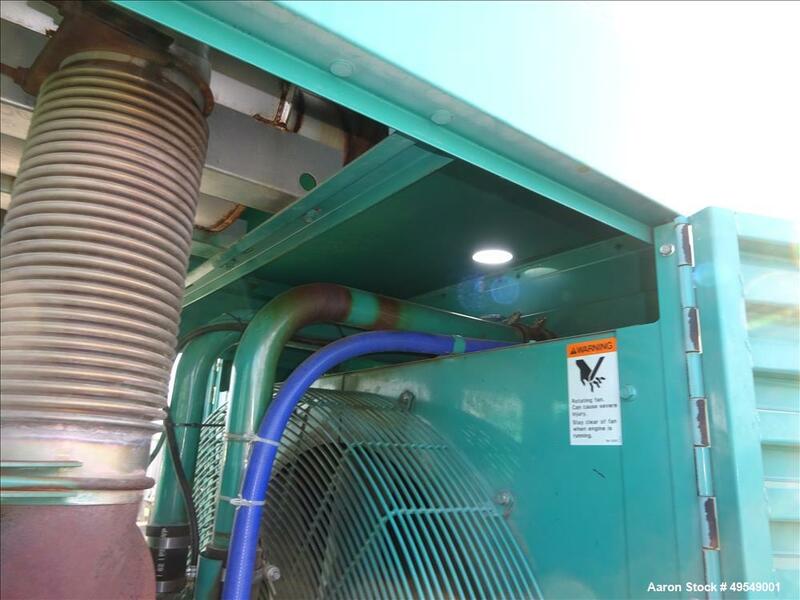 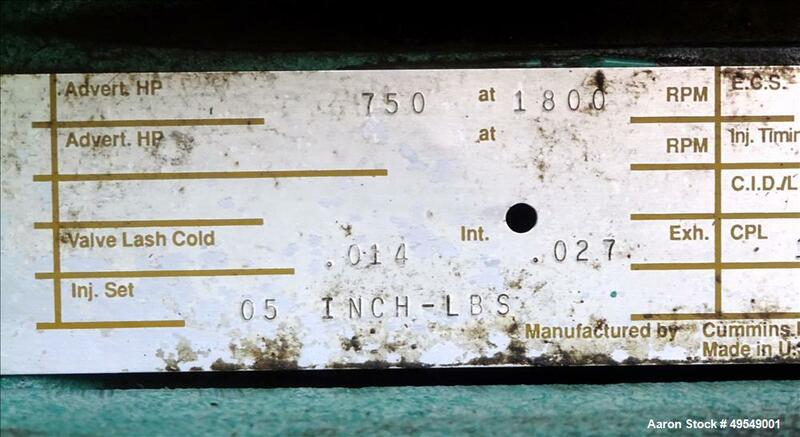 Coolant heater. 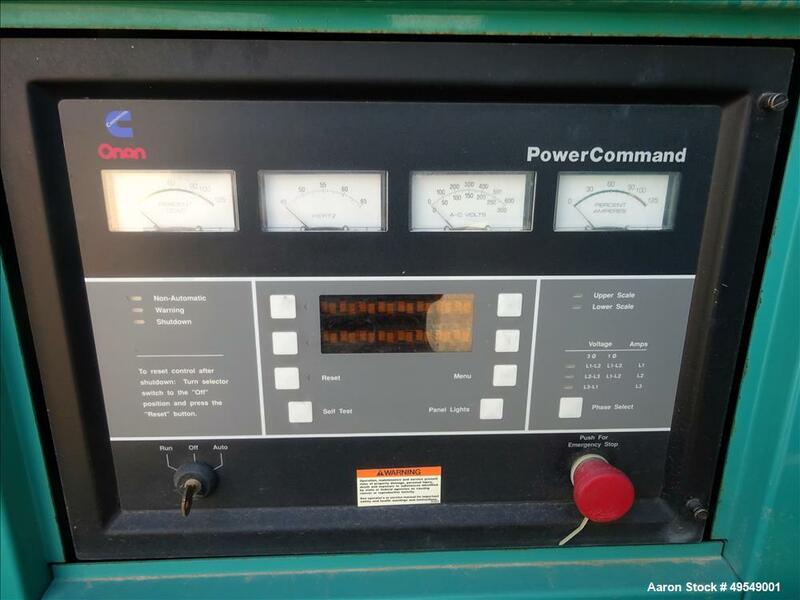 PowerCommand Control Panel. 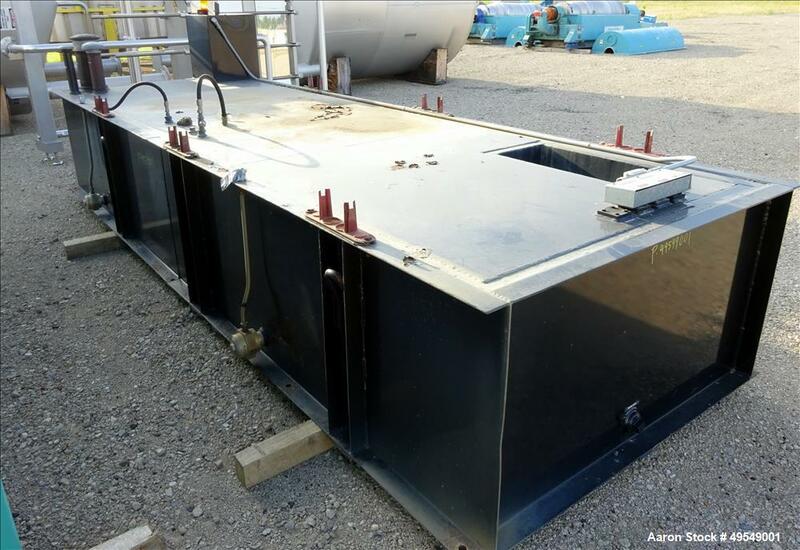 Weather enclosure. 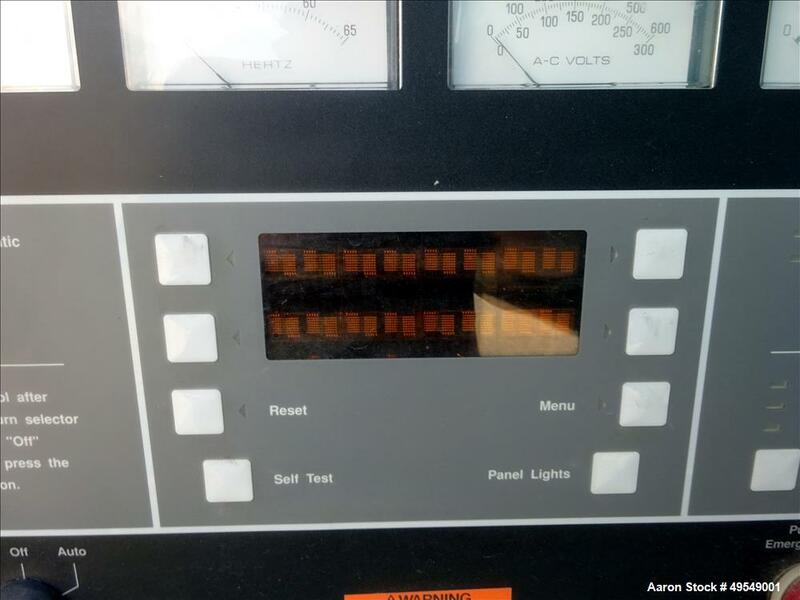 398 hours. 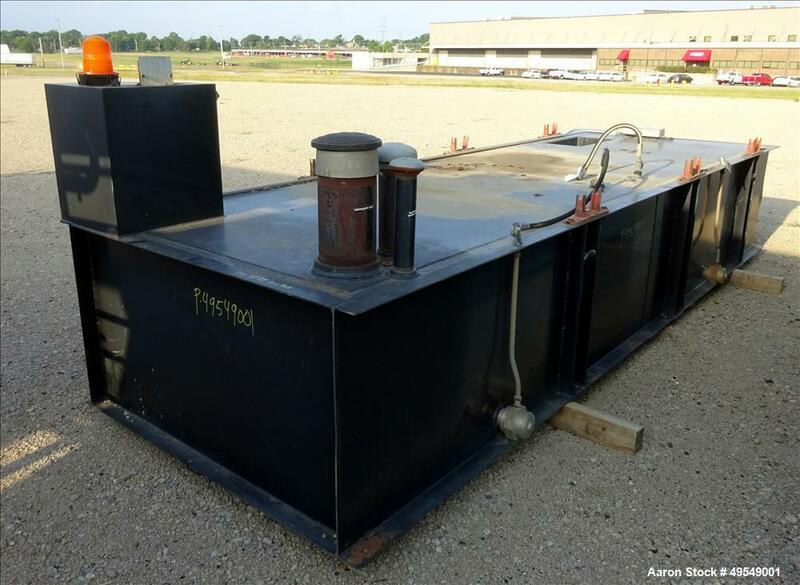 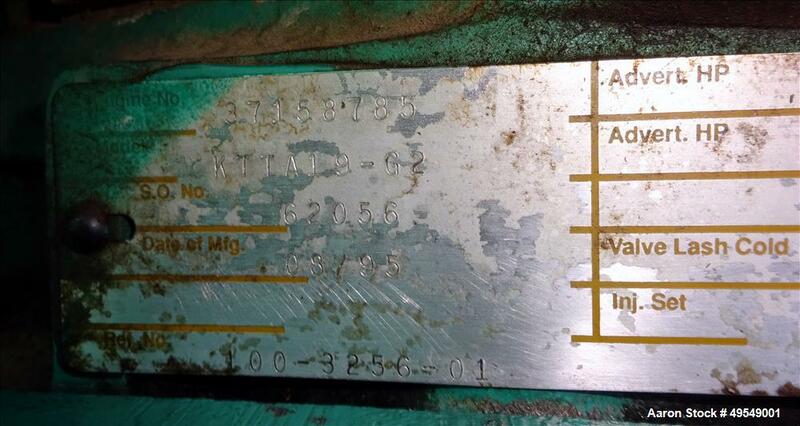 Approximate 1,000 sub-base fuel tank. 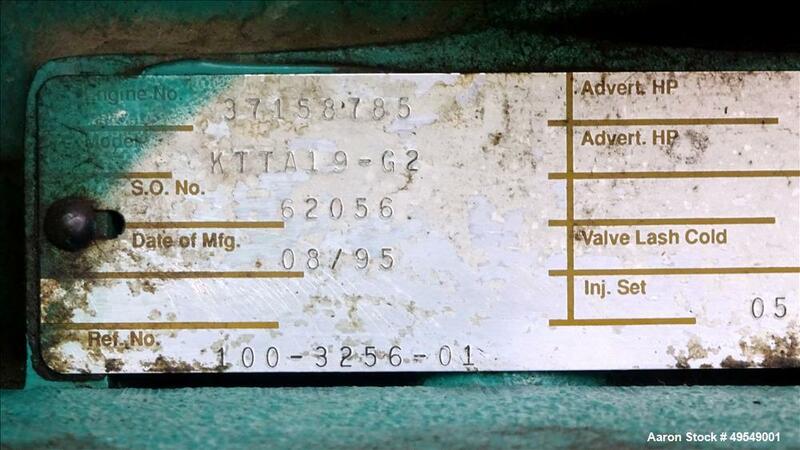 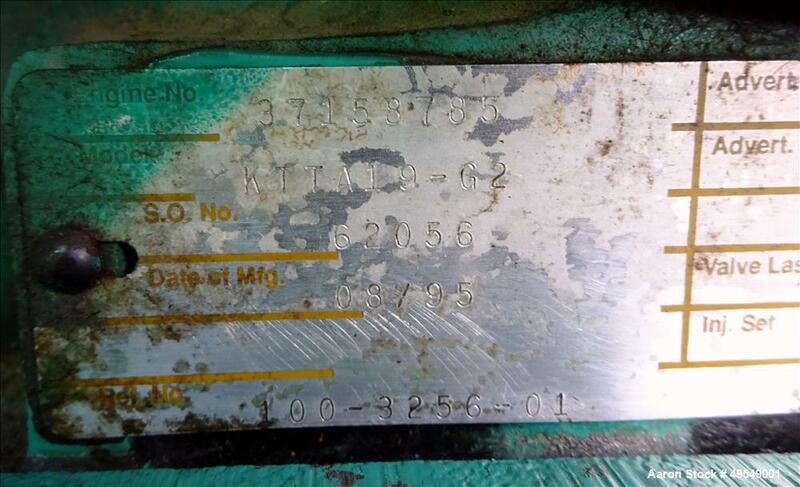 Year 1995. 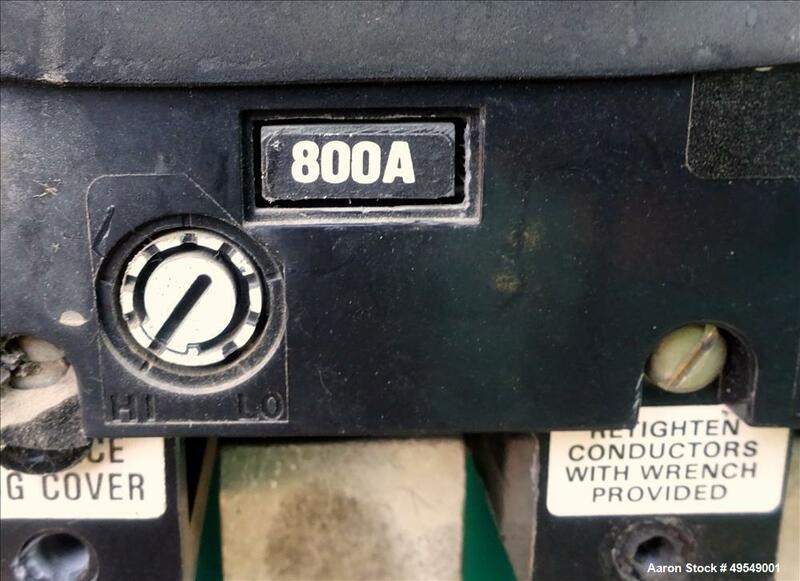 Battery not included.